Summer is hitting all over the country. As drivers are bringing out their cherished convertibles, many ask what is the best way to keep their convertible tops looking brand new. 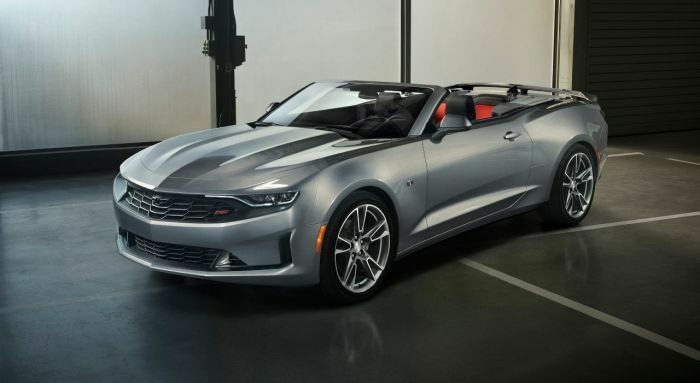 Dawg has a 2018 2SS 50th Hot Wheels Edition Camaro and wants to know the best way to care for the cloth top. It appears 303 sells a kit online that includes a fabric and vinyl top cleaner as well as a high tech fabric guard that will help repel water and protect against UV damage. I bet most owners are like Dub, they won’t have their convertibles out if there is a chance of bad weather. Sometimes you do get caught outside, so it is best to take precautions. Several different owners offered suggestions for applying the protectant, so that it didn’t get all over the windows of the car. Most suggested using a small foam roller to apply the liquid so you could control the amount that you use. In the end the instructions looked like this. 1. Ordered 303 fabric guard top protectant kit ($35, Amazon). Bought $8 paint mini 4” roller kit and a $3 lint roller at Walmart. 3. Used 303 cleaner and washed some more. 4. Thoroughly rinsed until strong hose spray was suds free. 5. Thoroughly dried with two lint free waffle weave towels. 6. Let dry 24hrs in the garage. Used lint roller to get all the lint and fluff off. 7. Poured 1/2 contents of 303 fabric guard bottle into the paint tray. 8. Used foam roller and rolled on the protectant, slowly one side of the car at a time. Used 1/2 the bottle for the first coat. Let dry completely. 9. Did a second coat with the rest of the bottle. 10. Let dry 24hrs in the garage. Experts will tell you that the hot sun that is ruining your convertible top is hard on your skin as well. If you are driving around with the top down, be sure and use plenty of sun screen. Doctors says that driver’s heads, faces and necks are vulnerable to skin cancer. They advise taking steps to protect your skin as well as protecting your rag top.